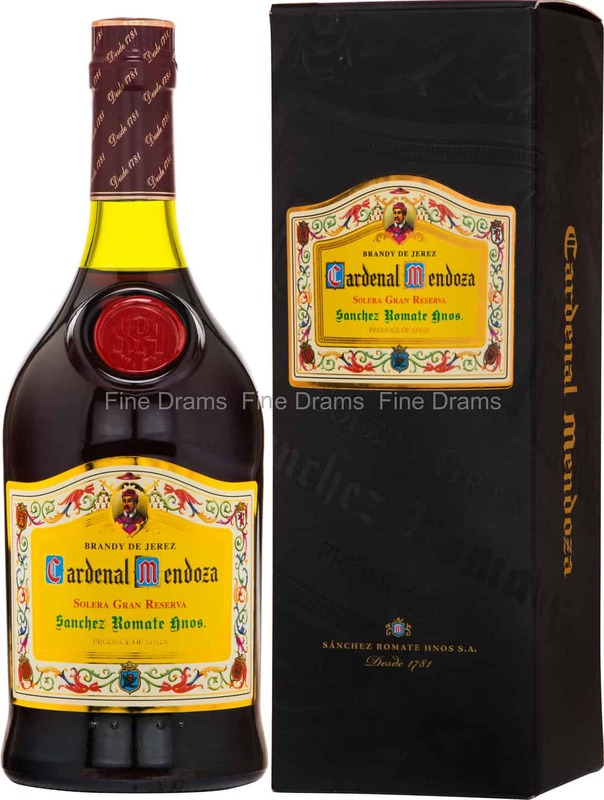 Those in the know often rate Brandy de Jerez, Spanish Brandy produced in the sherry-capital of Jerez, as one of the best value, underrated spirits on the market today. Cardenal Mendoza is an excellent example of the spirit. Aged like sherry in a solera system, this is a system in which the oldest cask is topped up with spirit from the next oldest, which is then topped with spirit from the next oldest, and so on. Usually about a third of a cask is taken at a time. This designed to ensure consistency, balance and complexity. The average age of Cardenal Mendoza is about 15 years. This bottling is named after Pedro González de Mendoza (1423-1495), a Catholic cardinal who helped Colombus secure the funding for his expedition, and who was key in the re-conquest of Granada. The brandy has been aged in a mixture of Pedro Ximénez and Oloroso sherry casks. The result is a thickly flavoured spirit, with notes of sweet wine, dried fruit, rum soaked prunes, Christmas cake, dark oak, cinnamon, cloves, chocolate, caramel, brown sugar and cream. A deeply complex and delicious Brandy de Jerez.